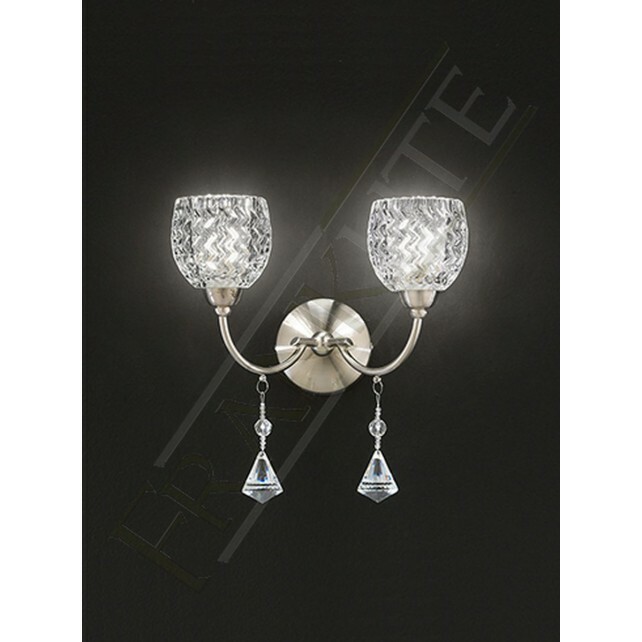 The Sherrie range from Franklite shows this beautiful decorative light fitting that would look fantastic in both modern and traditional interior designs. 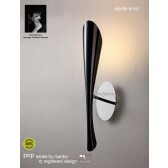 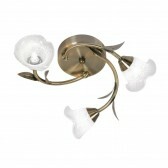 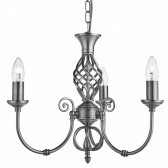 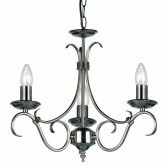 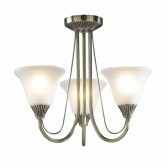 Showing a smooth satin nickel finish, the design features a simple circular wall bracket with 2 delicate curved arms. 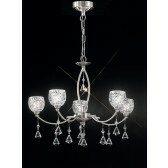 Each arm shows stunning faceted crystal glass drops and is holding a beautiful cut glass shade with an effective detailed pattern. 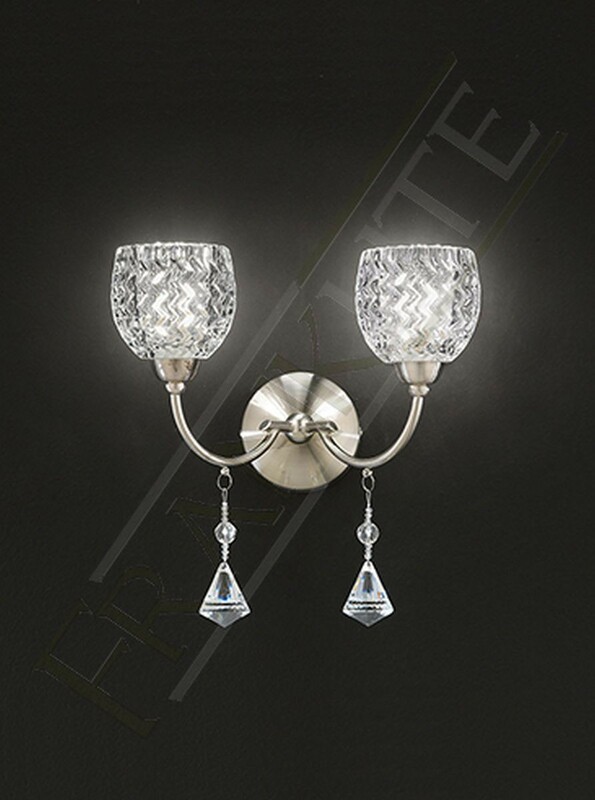 This light would look great in your living areas of the home, the light is supplied with efficient halogen lamps which are suitable for dimming, there is a switch located on the backplate. 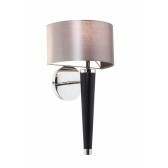 A highly practical decorative design that is simply a must have. 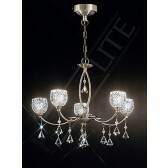 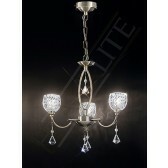 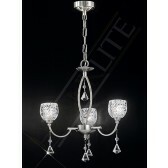 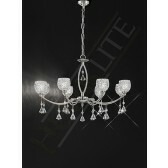 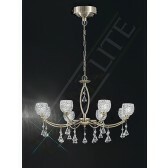 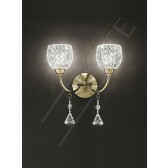 Other fittings from this range are available, see related items for more details.